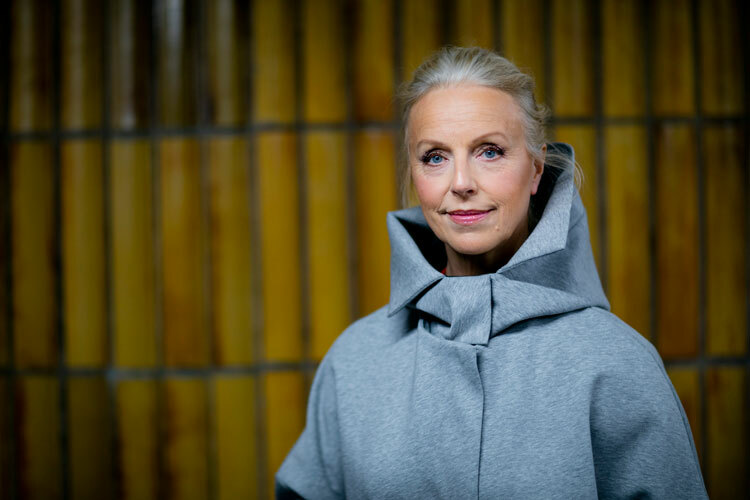 Anne Sofie von Otter has just released a new recording for Naïve, with Brooklyn Rider, of songs by a host of musicians ranging from Kate Bush and Sting to Nico Muhly and Anders Hillborg. James Jolly caught up with her, ahead of the concert of the same programme at Saffron Hall, on Friday, November 11. I was looking at your discography yesterday and the incredible the range of your repertoire. Is that the result of not having a closed mind and being open…? Yes, to a lot, not to everything but definitely an open mind and a big appetite. So I have listened a lot to music on the radio and on records – in the days when one did that – and so I’ve heard many things that I’ve liked and wanted to sing and I’ve worked with people who also function like that. And this thing of wanting to get my teeth into something different, that happened quite early. It seems more and more you get nourishment from working with living creators; songwriters who are still alive, musicians who are writing music for today – things like the Thomas Adès’s The Exterminating Angel or this record where it’s the music of our time. Yes, but the disc before that was ‘Douce France’, so it all comes and goes. I wouldn’t really say that now I focus on music of living composers; it has just happened that way. I’m thrilled about The Exterminating Angel because I think it’s such good music and I was very grateful to get to know Thomas Adès and his music. After a long career it’s not that I’m tired of earlier music, of older music, but it’s certainly quite interesting and always a challenge to see whether new music is going to be interesting and good and how the voice is going to feel when we are talking about classical contemporary. And I’ve always liked singing pop songs, so that’s nothing new. I shy away from the word ‘crossover’ because it has too many negative connotations, but it seems for a singer with a background in the classical repertoire you’ve got the whole musical world to dip into, whereas it doesn’t really work the other way round. If you’re a pop singer and you suddenly want to sing 'Vissi d’arte' it’d be very tough, whereas if you want to sing an Elvis Costello song or a Sting song you can do it. Yes, it’s unfair isn’t it! Yes, well, my ability to sing pop and standards is because I am able to take a step away from the classical technique with all the muscles working very hard to project, which is of course why we’re doing it – and that’s what the poor pop singers can’t do. They can’t suddenly develop a big muscle tone for projection, that’s just not possible. Then they have to put it in another range or use the microphone. Barbra Streisand did some classical songs quite well actually – because she’s a good musician. So is it a question of lessening your learned technique and just singing as an amateur might sing? As God made you, yes. My speaking voice isn’t always like this either – so how I’m speaking now is very relaxed and then I sing like that. So it’s just a question of lifting it into song is it? Yes, of course the air still has to flow, but then you use the microphone to your advantage and let it make the volume for you. You’ve made an enormous number of recordings but a recording like this is very intimate; it’s like you’re singing to the microphone, did that require a different sort of mind set - because when you’re recording a classical work you’re still singing as you would sing in a concert hall, there just happens to be a microphone somewhere catching it? Yes, well some of the songs like the Nico Muhly and the John Adams are still sung with quite a lot of classical technique and I would stand further away from the microphone. When I recorded ‘Pi’ by Kate Bush I was behind a screen, and sat very near and whispered into the microphone, because that song – the way I want to do it – doesn’t work at all if I add any volume whatsoever. So the disc encompasses different song techniques. So when we do this programme in concert then we have the classical singing before the interval – without the microphone – and then we add the microphone afterwards. Otherwise I would mix them just to show even more how this is all great music and not so different. And when you do it in a live programme, what do you pair it with? What classical music would you do? Well, the string quartet plays Janáček and they also play Philip Glass and then I join them. In my ‘Douce France’ programme I would do Fauré and Saint-Saëns and so on before the interval, and afterwards we added the microphone. With Brad Mehldau, for instance, I did not use a microphone, so it was all acoustic and in that case I need to raise the key, have a higher key, so that the voice projects and I have to add volume. That’s a bit tricky, because it can end up sounding a bit strange if I’m singing a Michel Legrand or Joni Mitchell song without microphone. That was hard because I don’t want it to sound too fruity. If I can choose, I do use a microphone for that kind of repertoire. The only thing I dislike are those terrible soundchecks that you have to do, which I never get used to! So tell me about how you put the album together. Well, after all my recordings through my long career I’ve done very little contemporary music. Why? Is that just because people have never associated it with you – or it just didn’t appeal? I’ve sung 20th-century music of course, but most of it was written up until the 1940s maybe. Also when you make a recording of contemporary music it has not sold very well, so that’s one reason. Another is that I haven’t really been turned on by or haven’t loved a lot of the contemporary music that I’ve heard. And there was so much other stuff I wanted to do like the baroque and the Lieder and the orchestral songs. And who do you do it with? I’ve been working a lot in a small format with the pianist Bengt Forberg and he doesn’t necessarily love contemporary music either, but for this project I had heard John Adams. I love John Adams. I really get excited when I hear some of his music. So I heard this song from Doctor Atomic ‘Am I in your light?’ and I thought I really want to sing this song, and I think I have something to say in it. Why do I like John Adams? Well, because to me he seems to write not only with his brain but with the rest of his body as well. He seems to have a lot of humanity and also a lot of his music seems to be related to pop music or jazz because of the groove that he so often has, and when I’ve heard Anders Hillborg’s music or Esa-Pekka Salonen’s music I’ve had the same feeling; that it has great harmonies sometimes or a beautiful melody or the instrumentation, but there’s always something and it seems there was a common ground, which was that they were not dry academic composers trying to be clever. And they are clever but they’re not trying to sound clever. So I thought maybe that’s how I’ll make this disc. The red thread, the common ground, is that I don’t want to think ‘This is classical. This is pop' and have a lot of ideas of what’s good and bad. It’s music from now, and it’s very good, and who cares what it calls itself. There are a handful of composers on here who are very comfortable moving between different musical worlds – someone like Nico Muhly moves between the very avant-garde rock/pop scene in Iceland, but is writing operas for the Met – a new breed of composer who is very comfortable in different worlds but also absorbing what’s going on around them. Yes, and quite a few pop people are acknowledging that they love classical music. And what do they listen to when they listen to music? They listen to Bach and they listen to Schumann and there’s nothing to be ashamed of in that. You can hear that they are somehow influenced by it. Sting did his Dowland album and Costello wrote his ballet music and his string quartet music and Björk with her choirs and her harps. So to me it was all one universe and I wanted to present it with instruments that have variety, and with a string quartet that can think outside the box of Beethoven quartets – I’ve nothing against them, but it needed to be maybe from a different generation. So I asked Pekka Kuusisto with whom I’ve worked and who certainly has his tentacles out for everything – new techniques and world music and whatever. So he said immediately Brooklyn Rider. So you chose the songs, the arrangements were made and then did you tweak them as you and the quartet got together? Yes, there was some tweaking but not very much. Some of the arrangements are very close to the original, like the Costello songs. They were arranged by Rob Mathes who really knows Elvis’s music. I thought the Sting arrangement, 'Practical Arrangement', was really wonderful because the text is so rich and full of nuance and the arrangement was very subtle but at the same time there was a lot going on. It really allowed you to act with the voice. Well that’s also Rob Mathes but the idea came from a friend of mine in Sweden who plays jazz cello, and he and I recorded it with just him playing and Rob Mathes used that as a starting point. And I thought the Kate Bush song, 'Pi', sounded enough like the original but at the same time very different. I usually don’t want my arrangements of songs to be very different from the one that I've first fallen for, because they get messy and many arrangers try too hard – so much going on, so many effects and too many instruments. So they all stay pretty close. I mean the Björk ones had to be different because she uses so many electronics. And Nico Muhly's 'So many things' was originally a song for voice and piano and then worked up? And that song was written for you? It’s a beautiful idea to sandwich the Joyce Carol Oates poem with the two Cavafy ones. I was entranced by it. And the suggestion in the poem of something that’s unreachable but so intense for the brief seconds it lasts...that’s kind of what music is. Oh good. I’m glad you’re talking about this. This is the nice thing about this CD, that the people who have talked to me about it all seem to like different things, which is for me a good sign that it’s a good programme. Otherwise if you have two good songs and the rest is mediocre, then everyone will talk about the two good songs, but you’re talking about Nico Muhly and you talked about the Sting and some other people talked about other things. I guess on one level it’s a record that allows you to reconnect with songs that we grew up with or contemporary voices that we find interesting. I think Nico Muhly is one of the most interesting of the current generation so I guess that’s what attracted me, but I’m sure as I listen to it again, the perspective will change on it. I’m very happy to hear that you enjoyed the Nico Muhly because it’s a long piece and some people don’t have patience for 13 minutes. And that’s the sort of song you could imagine fitting in to a lot of different programmes. It could fit into an ‘art song’ programme, as it were, or a programme that comes from a completely different direction. So The Exterminating Angel when it comes back to Covent Garden next year is in your diary. What else is going on musically at the moment? I’m doing another new piece of opera. The Autumn Sonata, which is a film by Ingmar Bergman, has been made into an opera for the Finnish National Opera, Helsinki, with music by Sebastian Fagerlund, a Finnish composer, so that’s another new unknown. Is it difficult when you work on something like that because with the established repertoire there’s a sort of idiom that the composers are writing within, a certain sort of style. But a contemporary composer has a very, very specific signature or imprint. Does it take a while to have to tune in to that? That must be tougher than someone saying 'Come and sing a Mozart opera' or Debussy or whatever. Definitely. For Thomas Adès I’d heard his Totentanz and I saw The Tempest. He can write very extreme parts and also it can be very loud and I didn’t know his music that well. So I was pretty apprehensive and worried a little bit because a lot of it was very low. You do worry if you don’t know how it’s going to be – they all say ‘Oh, it’ll be fine, it’ll be fine' and 90 per cent of the time it isn’t fine, it is too loud! But when it does work, like with Thomas Adès, it’s thrilling. Was it written with your voice in mind? Yes, he had met me. He was in LA and he heard me sing with Esa-Pekka and we chatted a little bit but that was many years ago when Esa-Pekka left LA, so that’s six or seven years ago. So he must have written it with me in mind because I think it’s very much down my alley – a bit weird, but I can do lots of things with my voice and it is very lightly orchestrated much of the time. So you’ve got the new opera for Finland and The Exterminating Angel. Is that where you’re moving to - we started talking about music of our time - or is that just pure chance that you seem to be doing much more contemporary music? I guess I’m more open to it now and more interested than I used to be. There is a lot of contemporary music that I don’t like because it sounds constructed or it’s trying to be attractive, and it’s a bit of Mahler and a bit of Bernstein and they think they’re so cool and it’s just annoying. There’s another piece that somebody wrote for me and it’s very easy listening and people loved it and I thought it didn’t have any personal substance in it from the composer. So I was very angry and irritated! What happens with a work like that, that was written for you. Presumably you do your best once and then do you let it go? The composer wanted to jump up and down about what a success it had been and wanted to take it around the world and I said 'I’m too busy. Sorry.' Then he had somebody else sing it, he re-wrote it slightly and now it’s doing very well. Or it did with that singer. I don’t know what’s happening to it right now. But every decade has its good classical composer but in the last 25 years we’ve had a lot of wonderful new music and I think that’s made me want to do it more. And of course for a young singer the repertoire now is so broad, because it’s not just new – it’s gone back the other way. Yes, you’re almost expected to be able to sing anything from Renaissance to the fruitier end of the 19th century and many of them can if they train and work. Are there any things that you regret that you didn’t do back then? I just wish I had had the opportunity to sing Mélisande more because I think that if ever a piece was written for my type of voice, that’s it. And I would have liked to have sung French repertoire a little bit more and I wish I’d sung a bit more Handel early in my career. It came to me at the end of the 1990s, which was fine and then after the millennium my voice had done a fair amount of heavier stuff like Bluebeard and the Wagner was coming and I lost my ability to do the really good fast Handel singing. But I don’t regret doing Bluebeard and Wagner. I think it’s enriched me enormously. It was fascinating to get into Wagnerland because I’d been to a few Wagner operas and I never thought it was that amazing but being in Tristan und Isolde was, ah … What a gift! But no, I don’t have many regrets. I’ve been fairly sensible and I really used what physically I could. Perhaps I could have been more careful – maybe kept a little bit more of the youthfulness – but I don’t regret doing what I’ve done. Do you find as your voice has changed as you got older, it lead you in certain directions that you perhaps didn’t expect it would take you? Well I didn’t think I would ever want to sing Wagner but it wasn’t my voice that took me in that direction it was the conductor saying 'Come!'. Esa-Pekka and Simon Rattle. And also Solti was pretty insistent but then he died. There’ve been things I’ve been wary of but I really wanted to do Dido, for instance, in Les Troyens. But I did realise that a long run of six or eight performances would be a big sing for me.